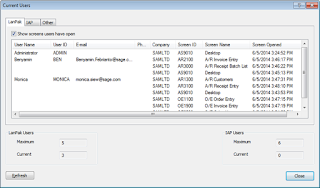 What’s New: Sage 300 ERP 2014? 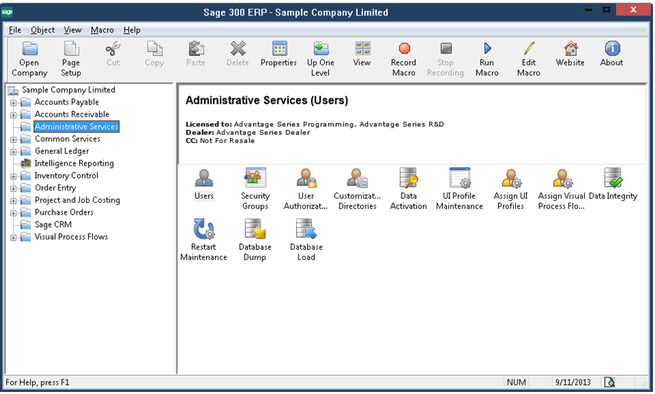 Careware would like to announce the availability to the Malaysia Market the latest version of Sage 300 ERP 2014. 5. 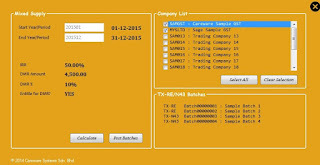 General Ledger Listing Report.6. 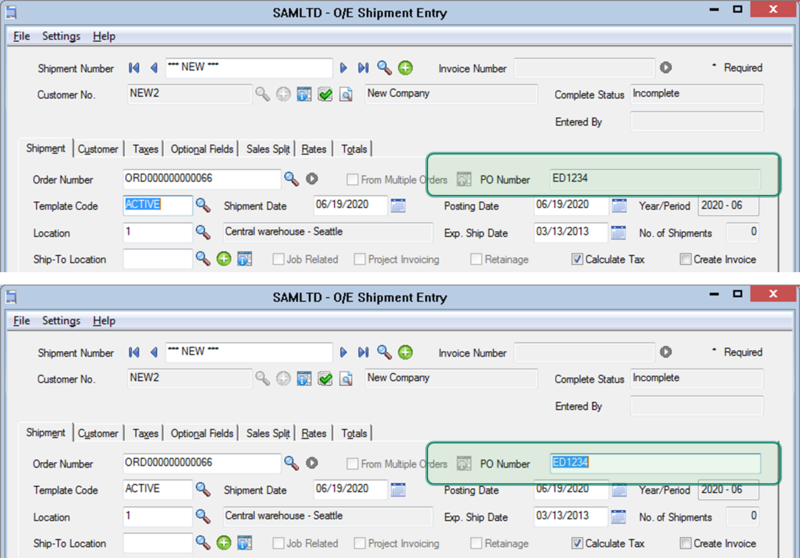 Inventory & Serialized/Lot and BOM enhancement. 7. 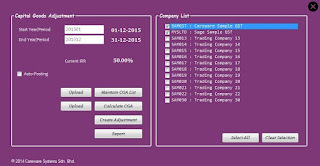 Careware- Customized Malaysia GST Advance modules. 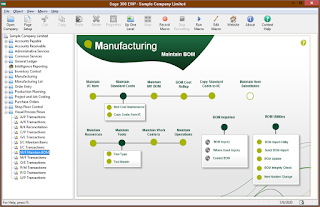 A totally redesigned desktop in Sage 300 ERP 2014 features a new ribbon style menu at the top, a navigation tree along the left-side, and modernized buttons and icons. More than just a pretty face, the new desktop replaces complexity with a clean and simple design that saves time and helps you get more done - all without sacrificing the workflow that you’ve grown accustomed to. 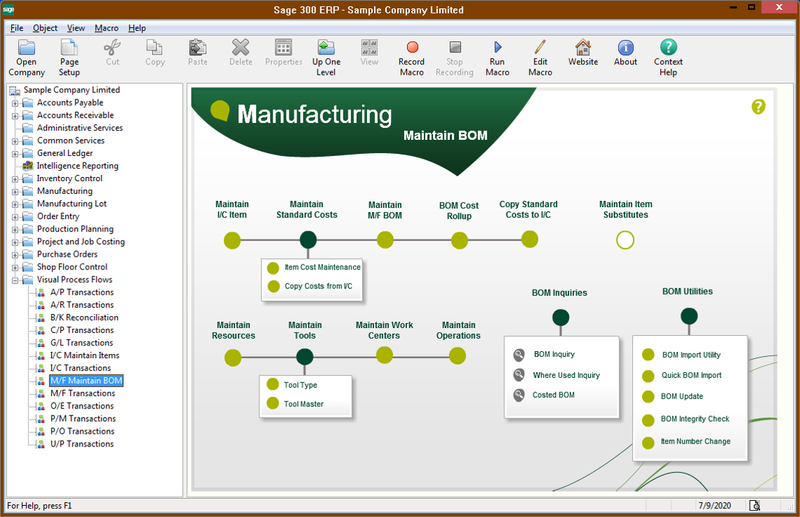 Sage 300 ERP 2014 Features a New Desktop Design Along with New Icons and Toolbars. 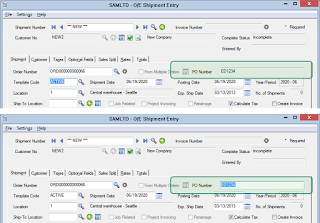 In addition to desktop changes, data entry screens got a facelift and are now 30% larger along with improved column alignment. These changes are designed to create more white space which makes the screens easier on the eyes and facilitates data entry that’s faster and less distracted. Combined with the changes to the Desktop, the following changes give the product a fresher look. Asterisks have been added to all the required fields. This has been a long time requested feature. These just give you a visual sign of which fields to enter, so you can avoid annoying error messages when you save or post a document. First by letting you see what is going on without using a Lanpak and then secondly by giving you more useful information on what people are currently doing. 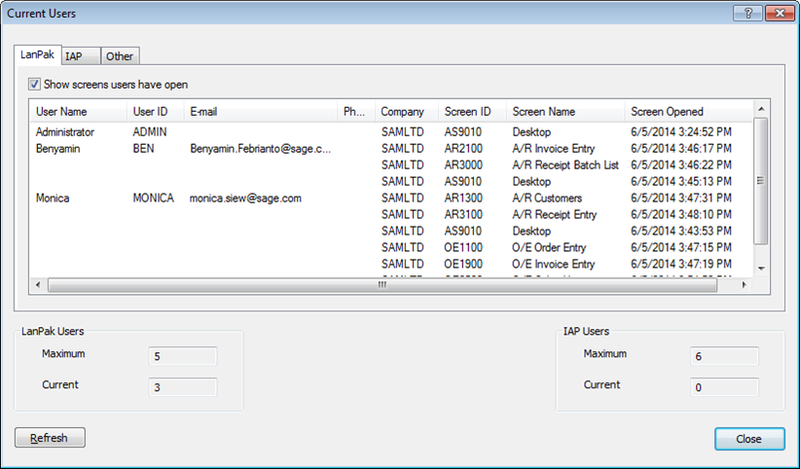 It is also now possible to link elements to programs (like Excel), reports and other process flows. 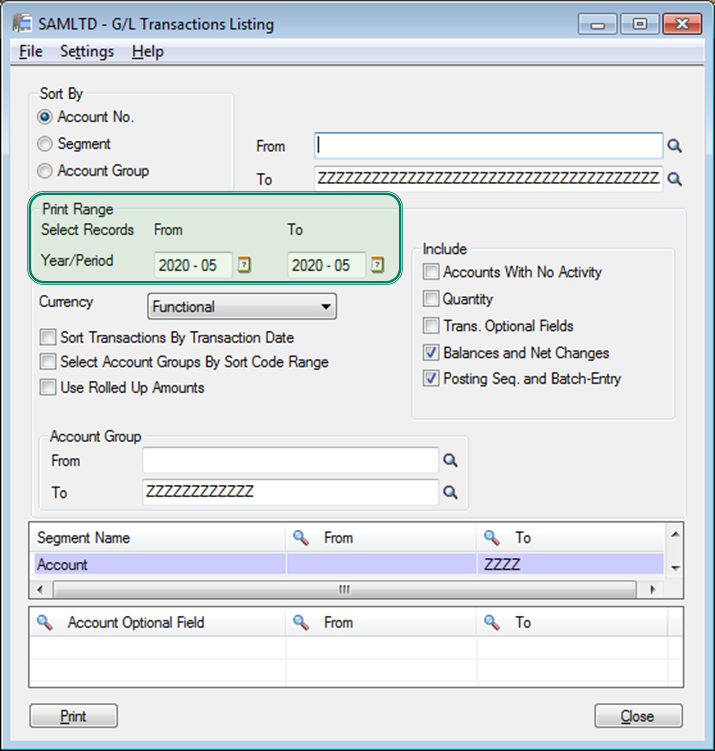 The GL Transaction Listing Report now allows you to include multiple fiscal years and periods. 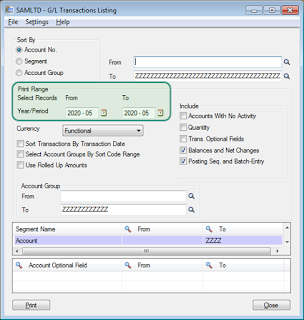 In addition, Financial Reporter now supports Excel 2013. 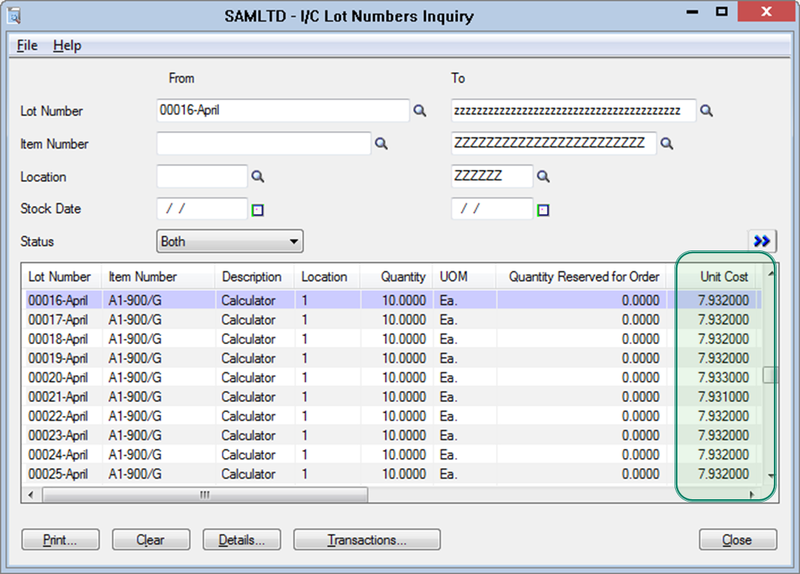 A new checkbox option will Allow Duplicate Serial Numbers for companies that have serialized inventory and lot tracking turned on. 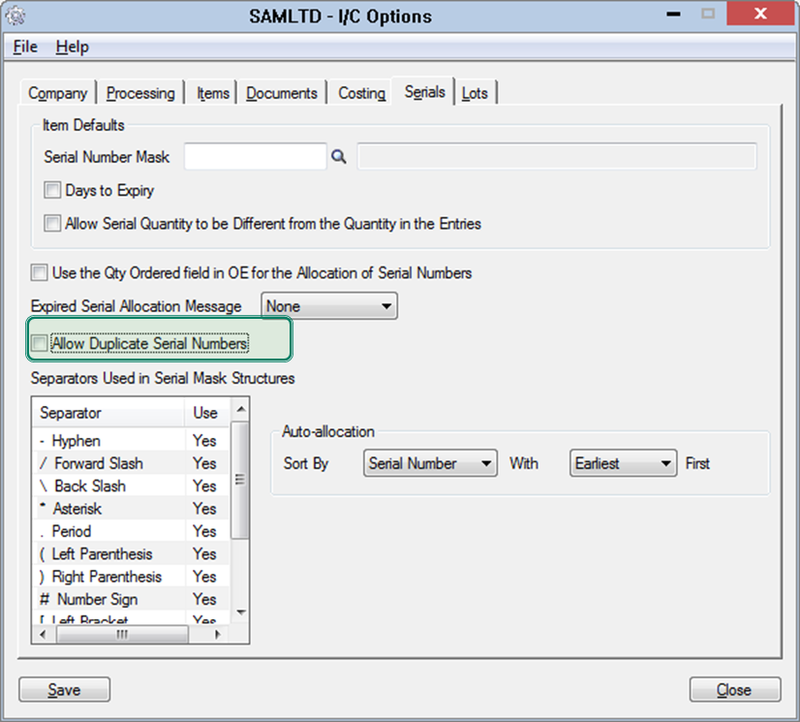 To activate this feature, navigate to the I/C Options screen. 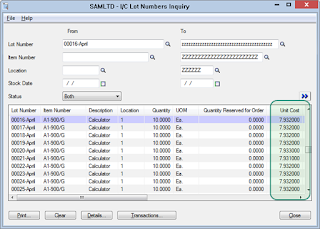 A new field labelled “Use as Default” displays when creating a Master Number. 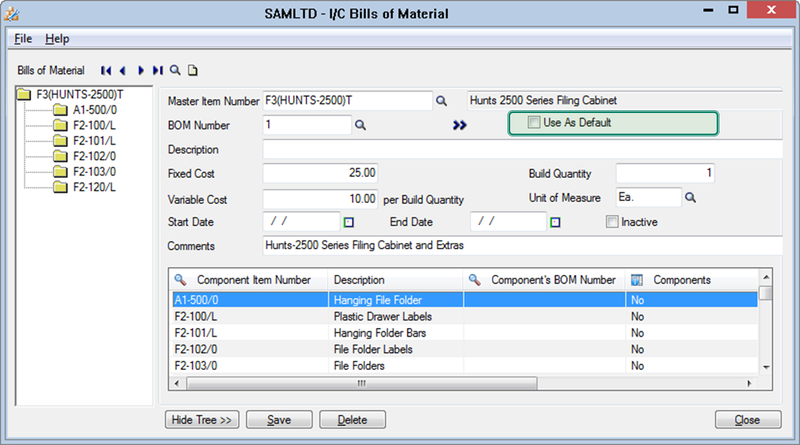 This option allows you to set a BOM number as the default when creating assemblies and dis-assemblies. 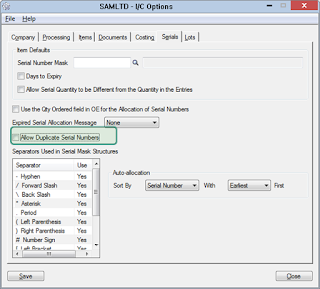 You can select and deselect this box at any time. 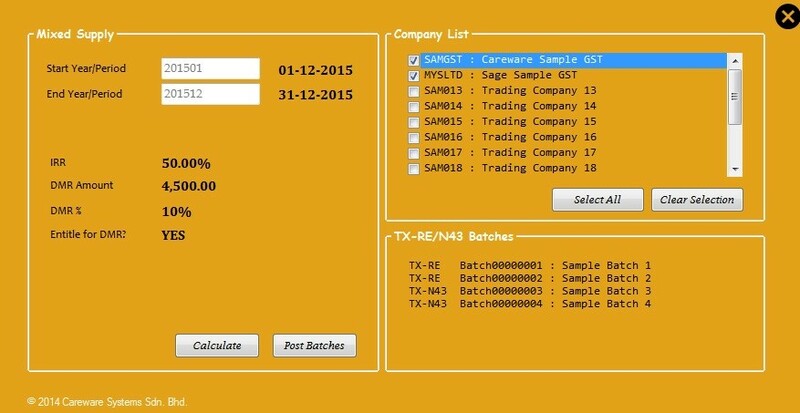 These are some enhancement that is not catered for in standard GST in Sage 300 ERP. 3. Advance function for Mixed Mode. 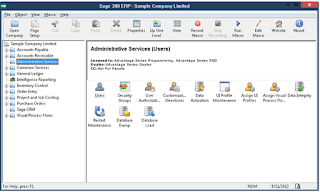 Careware Systems is the Premier Partner of Sage and specializes in Sage 300 ERP. 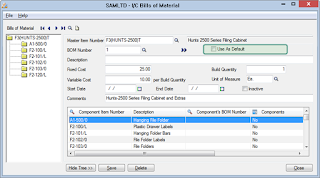 Focusing in the Sage 300 Manufacturing, Sage 300 Distribution and Sage 300 Project. Careware was awarded Sage Manufacturing Expert – Excellent award and overall Asia Top #1 Premier Partner 2007-2008, 2014 has been serving customers for over 20 years. 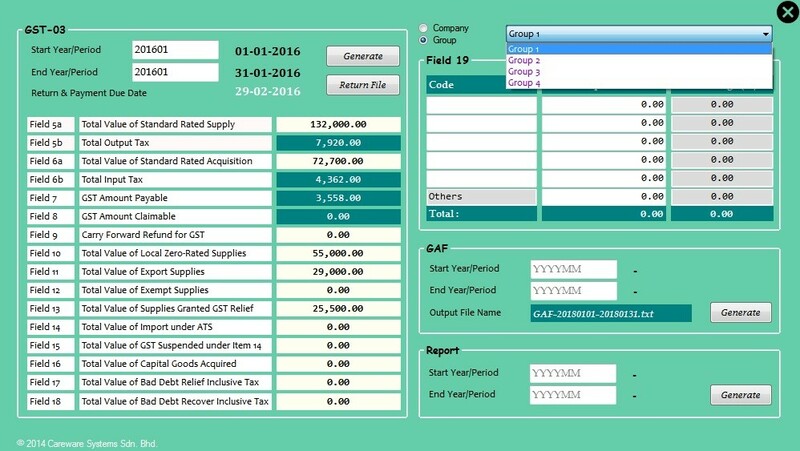 What's New in Malaysia GST program for Sage 300 ERP? 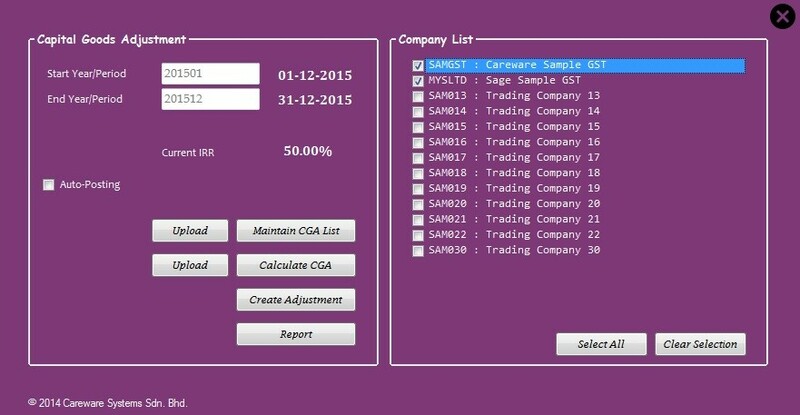 Careware Systems would like to announce the availability to the Malaysia Market the latest version of Malaysia GST Advance for Sage 300 ERP 2014. 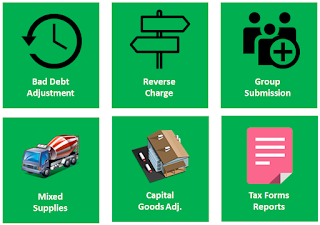 GST Bad Debts Relief & Recovery Program. 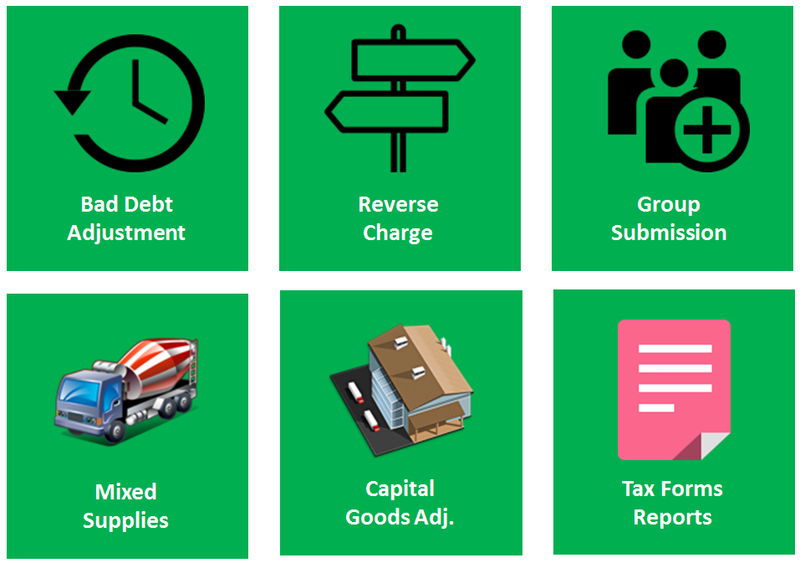 For any Accounts Receivable invoices > 6 Months, the program will generate a listing of Bad Debts Any such AR transactions which are subsequently settled by the client, the program will generate another return for Bad Debts Recovered as Output Tax. For any invoices not paid to Supplier > 6 months which the company had claimed Input Tax, the system will generate transactions to reverse the same as Output Tax. 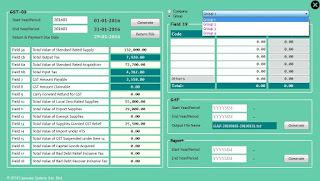 Subsequent payment to Supplier will generate automatically a transaction to Input Tax. Reverse charge applies for importation of Services only. 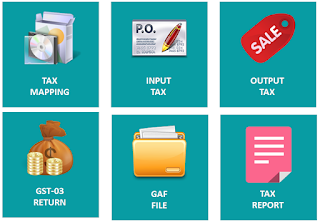 When we receive an invoice from our Supplier, we need to uplift a 6% Input Tax and then account for 6% output tax, effect is NIL but needs to be captured for CUSTOM. Advance function for Mixed Mode. This only applies to client affected by both Standard rated and exempt supplies. Example: Education. Education is under EXEMPT where UNI cannot claims INPUT Tax and does not account for OUTPUT Tax. However if they run a CAFETERIA, HOSTEL or BOOKSHOP, then they fall into MIXED Mode. In such scenario, clients are not allowed to claim the FULL 6% INPUT Tax. 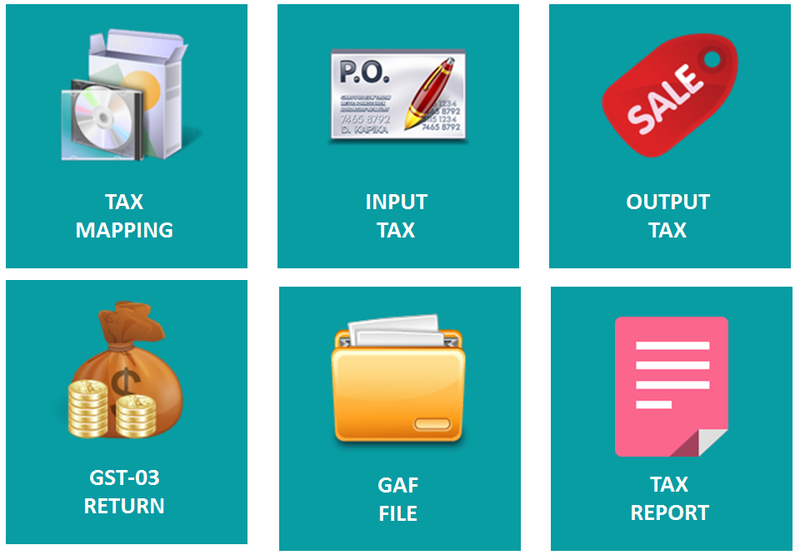 Instead at the end of each month, IRR program is run and calculation done to determine the % of apportionment for the INPUT Tax against the types of supplies made. Capital Goods affects only Assets > 100K (excluding GST). Applies in Mixed Mode. Group submission is an options that apply to companies who has many subsidiary and opted to do group submission instead of individual. The above customized programs by Careware has already been successfully installed and implemented by clients throughout Malaysia.